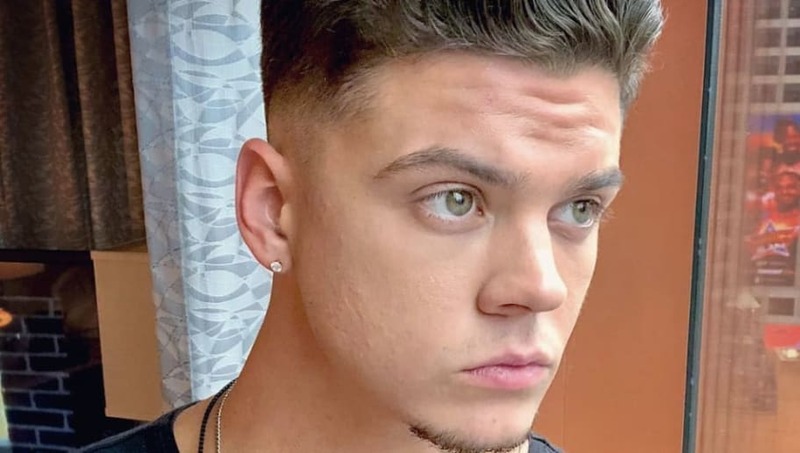 While everyone is extremely happy for Teen Mom OG stars Tyler Baltierra and Catelynn Lowell on their new baby, many are impatient about getting to actually see her. Cate gave birth to daughter Vaeda Luma on Feb. 21, and the only photos and videos we've seen of her so far have her face covered. We should respect the couple's privacy, but many fans are still calling them out for possibly only selling photos of the baby. So what's the truth? Well, Tyler has confirmed they do indeed sell photos of their children, and he has "no shame" about it. When a fan commented on Instagram that the couple "block [Vaeda's] face to make a quick buck selling her photos," Tyler responded, "OH ABSOLUTELY & I have ZERO shame about it!" He continued explaining, "The fact that all my children's college tuitions are paid for & they will have their trust funds that will create more opportunities as adults, that neither I or Cate could have ever dreamed of as kids, makes it all worth it!" Tyler's comment has started a conversation about whether this is morally okay or not. Many have taken to social media to weigh in. "Yes, protect their innocence till someone offers money for the photos and screw Carly's innocence even though her parents don't want us to share photos of her. Totally believable," one tweeted, while another wrote on Facebook, "I would. I’d eventually post their pictures online anyway, might as well make money doing it, especially when it’ll go to helping my kids futures." At the end of the day, we appreciate Tyler's honesty.